EdgeWater Boats, manufacturer of fishing and family cruising boats ranging from 14 to 38 feet, was named the exclusive builder of the new Summit 35 Racer/Cruiser sailboat model. The company was selected by high-performance sailboat developer Summit Yachts because of EdgeWater&apos;s proprietary high-tech construction methods and consistently excellent customer service index ratings, the company says. 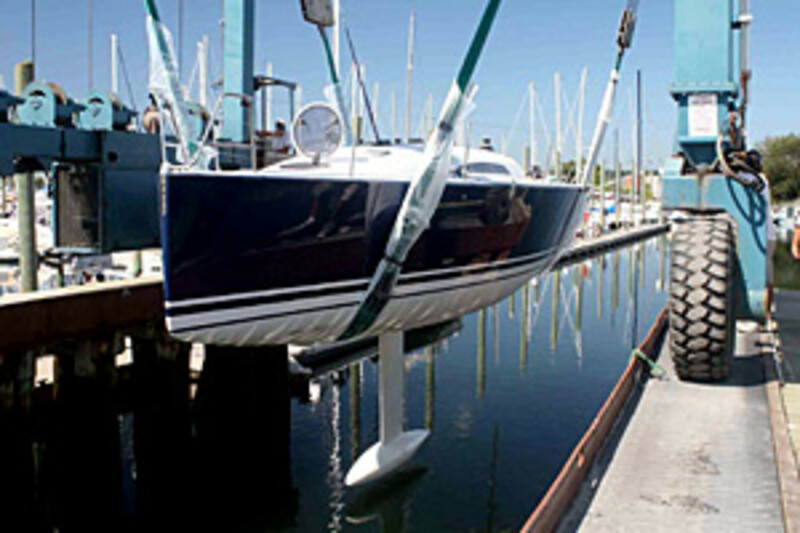 The project has enabled Edgewater to maintain steady production throughout 2009, even with the downturn in the boating industry, EdgeWater Boats president Peter Truslow said. "EdgeWater has manufactured many semi-custom recreational and commercial projects since we opened our doors in 1992; however, this is the first time we have built a completely new design with an outside client," Truslow said in a statement. "We are very excited about our collaboration with Summit Yachts. The Summit 35 is a beautiful, efficient design and the type of world-class product we like to build." With several orders in hand, EdgeWater already is in full production on the Summit 35, which is scheduled to make its official debut Sept. 17-20 at the Newport International Boat Show. The Summit 35 Racer/Cruiser is a smaller sister to the King 40 Racer/Cruiser introduced by Summit Yachts in 2008. The Summit 35, which features a custom rig from Southern Spars, is designed to be competitive in the IRC, PHRF and ORR racing classes. Working from Mills Design&apos;s 3-D CAD files, EdgeWater collaborated with Marine Concepts of Cape Coral, Fla., to develop the tooling for the Summit 35. The hull and deck will be built using EdgeWater&apos;s Single Piece Infusion construction process. The Summit project is one of several new ventures EdgeWater has taken on as it expands beyond its core base of building saltwater fishing and cruising boats. "The project has helped us to refine our technology. The knowledge we&apos;ve gained has helped us with development work we are doing for the U.S. Navy, as well as to improve our existing EdgeWater line," said Truslow.